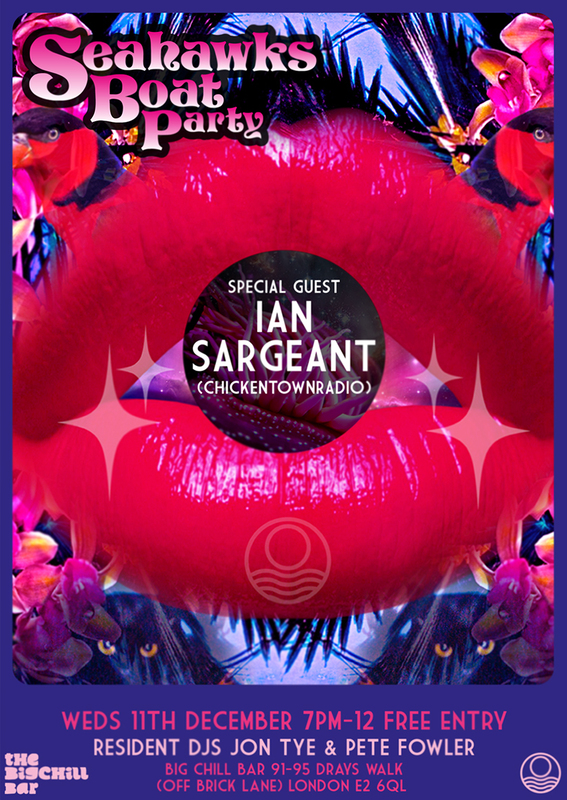 Setting sail for our last Big Chill bar session of the year and we are joined by our special guest Ian Sargeant ( Chickentownradio ) . Not only a first class gent but a collector and selector of the highest order. Expect deep disco, floating funk, harbour house and more vinyl slabs of beauty. We have drift off this wednesday the 11th of December 7pm-midnight, free entry. This entry was posted in Big Chill Bar, DJ gigs, Dudes, gigs, Music, smooth bastards. Bookmark the permalink.